Apart from arranging tailor made tours we also have a variety of scheduled tours. We have been operating these tours for years. 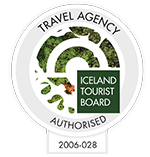 They have been popular for travellers who travel in small numbers and still want to enjoy the comfort of having a guide and driver taking them around Iceland. In summer our "journey around Iceland" has proven to be a great way to get to know the Island. In winter our tours which combine the northern lights with showing you the main sites of Iceland have had a huge increase over the last few years. For those who prefer to stay in Reykjavik our "City break" is a great option to combine nature and the urban experience. Travel around Iceland and get all the main highlights in this week tour. The Journey Around Iceland takes you to all the main highlights of the country, including Lake Myvatn, Geysir hot spring area, Gullfoss waterfall, and Glacier lagoon to name only a few. This is a real adventure of a tour including highlights such as the famous Geysir hot spring area, beautiful waterfalls and much more. Snæland Travel will take you to the most famous places in the country; in addition to that, we will also hunt for the magnificent Northern Lights.